Review With the evolution of the netbook now progressing at such a rate that it would probably make Darwin mutter darkly about wishing the Bible was right, hardly a month, week, day passes without a new sub-species crawling from the primordial ooze. 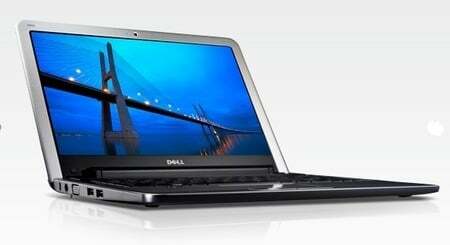 One of the latest is the Dell Inspiron Mini 12, which - as the more alert of you will suspect - is a 12in screen version of the Inspiron Mini 9. Well, almost - the differences actually run a little deeper than that. Mainly its a question of storage. 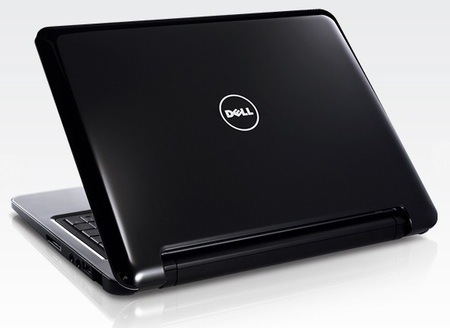 While the Mini 9 only came with SSD storage, in either 4, 8 or 16GB flavours, the Mini 12 only comes with an HDD, either 40GB or 80GB, respectively included on the Linux - Ubuntu 8.04 - and Windows XP varieties of the netbook. Exactly why Dell won't let you have a Mini 12 with an SSD – or a Mini 9 with an HDD, for that matter - is anyone's guess. The Mini 12 is a fair bit bigger than its 9in sibling, but at 299mm x 229mm, its footprint isn't that much larger. And, more to the point, the Mini 12 is actually the thinner of the two, rising from 23.3mm at the front to 27.6mm at the rear, compared the 9's 27.2-31.7mm. Its only 201g heaver than the Mini 9 too, at 1.2 vs 1kg. Raw numbers aside, the Mini 12 is an eminently portable device and while it may not slide into an envelope, it's every bit as easy to cart about as Apple's MacBook Air.